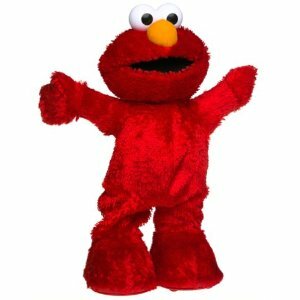 Elmo is a murderous prick. It has to be that, or in all the years I’ve had L and now S, I still haven’t learned to steer clear of dangerous projectiles. Since I can’t be that stupid, I’m going with murderous prick. Luckily, he was not in the most competent hands and I came away still living, just with a split lip. And then to add insult to literal injury, my attacker, S, has the selfish nerve to cry and whine for my attention while I try to stop the bleeding and hold frozen peas on my face. When I don’t immediately abide, she begins to follow me around the house, threateningly carrying her Elmo weapon by his eyeballs – clearly letting me know that I’ll get more of her punishment if I don’t hand over a sippy cup and Snack Trap of Cheerios. L: Mommy, I can’t run around and play sports today. L: I twisted my chin.